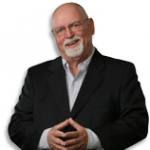 I’m excited that Tim Plaehn has graciously extended a special offer to Miller on The Money Readers for his innovative dividend investing newsletter that delivers potentially thousands of extra dollars per month to your account. His system is simple to use but powerful for those of us looking for extra income. Below in his brief information kit he explains how easy it is to get started and even how much you could start pulling in as early as next month. ACTION REQUIRED: The deadline to be on the list for the next payment is . That’s the date you need to focus on to be eligible for your first payment. Starting on you can fundamentally transform your income stream from a string of near misses to a steady, reliable flow of income right to your bank account. And it all starts with a simple to use, yet powerful calendar, like the one below, only with more details. Kind of like the one you might have on your desk, only this one tells you when you’ll get paid and how much you’ll receive each and every month. No more guesswork, no more confusion, no more worrying if you did the right thing… just steady paychecks coming like clockwork. With the monthly dividend paycheck calendar, you’ll stop worrying about the market’s ups and downs because they won’t matter anymore. Your payday is already on the calendar. In this urgent briefing, I’m going to share with you all of details on how the monthly dividend paycheck calendar works, how easy it is to use for investors of any level, and real life examples of the kinds of paychecks investors are getting right now. In order to receive your first paycheck, you must be a shareholder of record by . That means you must own the stock before this date. This date is critical and clearly marked on the monthly dividend paycheck calendar. 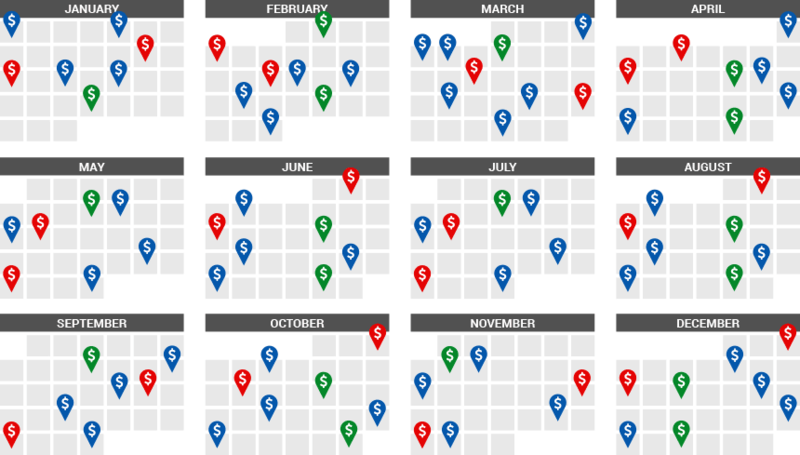 The way the calendar is structured you can expect between five and 11 paychecks per month. By starting with the Monthly Dividend Paycheck Calendar today, you will have the opportunity to earn a growing cash income stream in perpetuity. That’s the way the calendar is set up: you’ll have a base of five paychecks every month and then in some months you’ll get a bonus paycheck and in others you’ll receive two bonus paychecks all the way up to 11 per month several times a year. The peace of mind you’ll get from knowing that every month you’re going to get at least five paychecks is invaluable. No more worrying about the market’s gyrations. No more keeping tabs on how much you’re spending and how much you’re taking in, pinching every penny along the way. No more worry at the end of the month that you might not be able to pay all of the bills. The income derived from the monthly dividend paycheck calendar is like getting a bonus every month. Whether you sock it away for the future, re-invest it, or treat yourself to something nice, it’s your call. After all, it’s your money. And in this letter, I’ll tell you how to get it. To create the monthly dividend paycheck calendar I first had to find the very best dividend investments for individual investors. Sure, some folks out there just chase down the highest yield, buy a bunch of shares, and expect money to just flow into their account. And for some, this works. At least for a while. But the problem is that solely chasing down yield leaves you exposed. Sadly, there are many companies out there paying eye-popping yields that are just one bad management decision or one market pull-back away from bust. They cut their dividend and the results are calamitous for investors. You see, the share price of stocks for companies that cut dividends always crashes. And hard. For example, in February 2013 Cliff’s Natural Resources announced a 76% cut in dividends. The share price fell 16% in one day and continued to lose half its value by April. That’s a 50% haircut in just two months on top of the lost income. Or take Vale, the big Brazilian mining firm. Also in February 2013 they cut dividends like Cliff’s. This time it was a “modest” 25% cut. And the share price tumbled 31% over the course of the next four months. And then there’s the lesser known but just as worrisome Boardwalk Pipeline Partners. In February 2014 the company announced an 80% cut in dividends. (What is it with February and dividend cuts?) The stock price tumbled 51% in one day. Investors, many of them depending on that income for retirement money, watched helplessly as their income was cut by 80% and the principal by 50%. They were counting on that money. Imagine for a second how devastated they were. Could your portfolio stand that big of a hit? Could your lifestyle handle an 80% cut in income? That’s why it’s important to me that we select the right dividend stocks for the monthly dividend paycheck calendar. And for me the right dividend stocks are those with a history and commitment to increasing their dividend payments. It’s not enough that a company is paying dividends. Why? Because a company without a history of increasing dividends is 9 times more likely to cut their dividends than a company that has a solid track record of raising dividends. And you saw from just the few examples above the devastation that just one dividend cut can cause for your portfolio. Imagine a string of them in your portfolio. Now, I spend the better part of 60 hours a week sorting through the data, the SEC filings, the analyst reports, the company releases and annual reports, listening in on company conferences calls and dialing up management on the phone when I need to… all in an effort to find that core group of consistent dividend raising companies. Even then most won’t make the cut. But the few that do make it get consideration for the monthly dividend paycheck calendar. And then I look for good spread of payments dates so all the paychecks aren’t lumped into a handful of months while the rest of the year has no cash coming in. I don’t know about you but there’s something reassuring knowing that I’ll collect checks this month and next month and again the following month and so on. I mean think about it: your bills come every month, right? The mortgage. The electricity bill. The gas bill. The cable bill. The phone bill. So why shouldn’t your dividend income be monthly, too? Look, everyone’s household budget operates monthly. You get each bill throughout the month and like most of us, pick one day a month to pay all the bills, whether online or via check. And that’s how your dividend income should be, steady throughout the month. For example, if you started by you’ll be in a position to collect your first checks collecting $ and continue collecting multiple paychecks every month indefinitely. Now is a great month to get started with the Monthly Dividend Paycheck Calendar. There are payments this month. In some months the payouts are much, much more. The true value is starting with the calendar right now is earning $ on average each month in … then watching that number increase year after year. That is, of course, only if you start today with the Monthly Dividend Paycheck Calendar. Add that up for 12 months and you are looking at over $ in extra income for the year. Imagine that for a second, that’s enough to pay for a new car, plan multiple vacations, finally pay off some bills, and more… and still know there are more checks to come. All of this extra income can be yours only if you start using the Monthly Dividend Paycheck Calendar by . Like I said, as long as you own these stocks you’ll have a steady and reliable income stream. The way I’ve constructed the payout dates you’ll receive at least 5 checks each month. And in some months, you’ll get 7 and other months up to 11 paychecks… even 14! Now is a great time to get started as you could be set to start collecting $ just for following the Monthly Dividend Paycheck Calendar strategy. And, the best part is that this income does not stop after that. Think about it: that’s $ in extra cash that you didn’t have before deposited into your account in a matter of weeks. Each and every month, if you join the Monthly Dividend Paycheck Calendar today, you will have the opportunity to collect a growing stream of dividend paychecks just like the ones I detailed above. This level of financial freedom is an opportunity that you should not pass up. Well, we just talked about how much you can expect over the next several weeks when you get started today and start collecting checks as early as next week. You may bring in more or less depending on how much you choose to start with. It’s entirely up to you. My calendar tells you what to buy and when, and when to expect your paycheck. How much those paychecks are is entirely up to you. That flexibility and the ability to tailor the calendar to your own particular needs is one of the advantages my monthly dividend paycheck calendar gives you. You saw from the example above, just 1,000 shares in each of those stocks — nets you an extra $ over the next few weeks that you didn’t have before. It’s kind of like finding free money. Then the cycle starts all over again so you’re getting paychecks every month with this system. Remember, you’ll be set up to easily make an average of $ for each month of . You can use this money to pay your bills, build up your retirement savings, or begin to live a life stress-free from worries about your income. That’s how powerful this simple yet highly effective monthly dividend paycheck calendar can be. That’s how wealth creation begins. And it’s so easy for you to get started. Regular investors are using these stocks all the time to create their own income streams specific to their own needs. For example there’s Jonathan D., age 64. He’ll collected $1,020 in August. And he’ll collect another $1,020 in November and again in February and then in May every year unless he decides to add to his position, then he’ll bank even more money. And Karen T., age 56, who gives much of her time to charitable organizations in New York, she just may be one of the luckiest of our investors. She was regularly collecting $1,682 with just one of her stocks when this all started. But the dividend has been raised several times and now she’s bringing home an amazing $4,423 like clockwork. And she’s getting a check for at least that much again in October. That’s the thing about many of the stocks that are part of this system: they regularly give you a raise, in addition to the consistent stream of passive income. Then there’s Dominick B. of Houston, Texas owns 5,151 shares of one of our portfolio holdings that’s special to him. When the calendar was started he was collecting $850, but with a recent increase he’s collecting even more. He collected $901 this past month. And he’ll collect the same amount every month afterward, at least until they raise dividends again and he makes even more money without lifting a finger. And David M. added 976 shares of one of our newest portfolio holdings and started collecting an extra $322 just from that one holding alone. These are real people earning real income from stocks in the monthly dividend paycheck calendar. Each uses the stocks differently according to his or her own needs. Some buy a little of every stock so they get paid several times every month. Others might buy only one or two, whatever works best for them. The possibilities are truly endless and customizable to your unique situation. First, I want to put your concerns at rest that you do not need any specialized education or training to use my system although I do offer that too. You do not need to pay for and sit in on countless hours of seminars, webinars, conferences, home study courses or anything remotely like that. You do not need the latest, greatest, fastest whiz-bang trading platform or software. You do not need to already be wealthy to get started… quite the contrary actually since this is a wealth creation tool. All you need is email address and a brokerage account. It doesn’t matter how much money you have or how much you can invest right now. Of course, the more you invest, the more you can make. And your age or current income doesn’t matter either; the monthly calendar works just as well for young people just out of college as it does for retirees in their 80s and anyone in between. Doesn’t matter, it works the same. 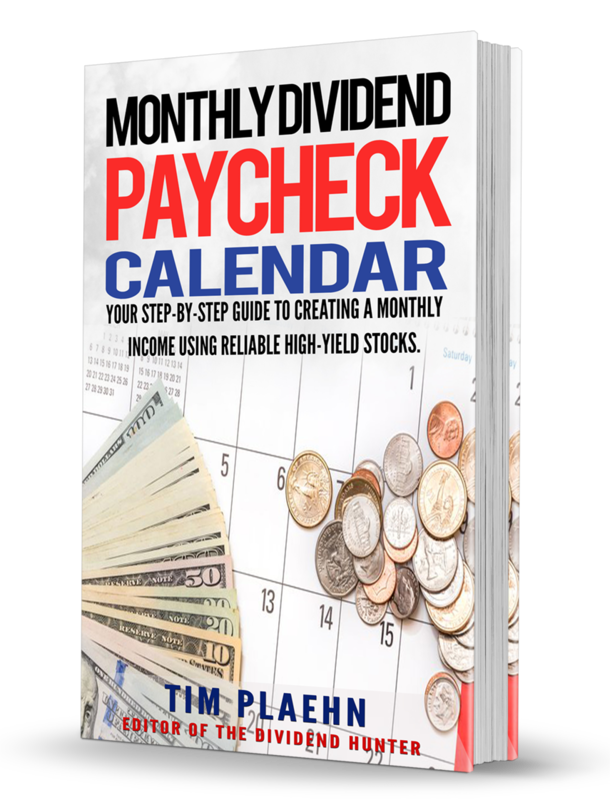 You see it all starts with The Monthly Dividend Paycheck Calendar that comes with my dividend and income investment research advisory called The Dividend Hunter. We started publishing knowing that frankly there are plenty of other dividend letters available to investors. I had one friend even tell me I was nuts for trying. I disagreed. We’re still friends. But we launched this newsletter and our Monthly Dividend Paycheck Calendar income system because there are regular hardworking people looking for a steady income stream. Looking for something they can rely on. And we couldn’t have started too soon for some folks. You see, contrary to what they try to tell us – the mainstream financial news, the government, the politicians – nothing’s changed for those of us looking for stable and steady income. You and I both know it. Otherwise, you wouldn’t be a dividend investor. Think about this for a moment: up until the financial crisis the conventional wisdom for retirement money was to put the bulk of your money in bond funds and CDs and live off the interest. Made sense when CDs were paying 5, 6, even 7%. Nice way to fund your retirement. But that’s not the world we live in today. What About the Fed Raising Rates? This is the second most common question I get from dividend investors through email and at speaking engagements. I’ll share with you my response to that. Today you’d be lucky to get much more than a 3% yield on a CD without having to tie up a tidy sum for a long time. 3%? Are they kidding us or just plain being rude? Take your pick but either way that’s not even enough to cover inflation (even as low as it’s been) let alone let you “live off the interest”. And remember, that’s not going to change any time soon. It’s only the last couple of years that we’ve seen the Fed finally raise rates for the first time since before the Great Recession and even then only modestly. And you know what happened? The world didn’t end. Dividend stocks didn’t tank. In fact, markets have moved up since that first rate hike and they’ve continued an upward trajectory. But they could raise them at every meeting for the next year and it’s not going to make one bit of difference for people like you and me. At least not for those of us who want passive income like we used to expect from CDs and bonds. So the Fed raised rates a few times. Big deal. Are they looking for a pat on the back? They say they want to raise them again this year… maybe a couple more times. And there’s talk — always talk — about raising them again soon. Of course what do you think they raised them to? Back to the 5.25% like in 2006 and 2007, the years preceding the financial crisis? Dream on. No, their first rate hike in nearly 10 years was one quarter of one percent. And since then they’ve paused then raised then paused and played the “wait and see” game. And then maybe they’ll raise them another 0.25%. Let me spell it out: that quarter of a percent is 0.0025. And what will your bank raise CDs to? Back to the 5, 6, 7% we enjoyed a little over a decade ago? The kind of return you could actually live off of. No, the banks will raise them to 2.75% from the 2.50% where they are now. And only begrudgingly. Can you live on 2.75% interest? And this will go on for years… maybe a decade or more. Despite all the cheerleading, the Fed is too scared to do anything other than incremental rate increases of 0.0025… and with long pauses between each rate rise. Frankly, it’s hard to imagine a day when we ever get back to those decent yields on CDs that we could live off the interest. We just have to face it: you’re never going to be able to go back to when you could park your money into CDs maturing in successive months (in banking terms this is called laddering) and take the cash out without so much as lifting a finger. I know that’s not what some people want to hear. Sorry, but it’s the truth and I’m not the kind of guy to sugarcoat the truth. And the sooner we face up the truth the sooner we can take action and do something about it… the sooner we can take control of our financial well-being. And this is why the Monthly Dividend Paycheck Calendar is more important than ever. This is why you’re going to want to get your copy today so you can be on the list by to collect your first paycheck. And it all starts when you start a risk-free trial subscription to The Dividend Hunter. The Dividend Hunter is appropriate for nearly every type of investor, especially those looking for steady income. It doesn’t matter what your age is or how long you’ve been investing. It works for investors with all levels of investing experience, any portfolio size, and total net worth. The first thing you can expect is an easy to use strategy that’s explained in plain English. If I don’t write in language that you can understand and use to make yourself wealthy then I have failed. And I really dislike failure. So we’re going to keep it simple. Secondly, you’ll receive your own copy of the monthly dividend paycheck calendar. You’ll get it as soon as you sign up so you can get started right away. I want you to get started right away. The sooner you start the sooner you collect income. It’s really that simple. In the calendar you’ll get the exact dates for when you need to be an owner of the stocks in the calendar and when you should expect your paychecks. It’s pretty clear cut yet extremely powerful in helping you build wealth quickly. You see, I’ve completely removed all the guesswork, all of the uncertainty, and all of the possible errors that could happen. Then every month I will send to you via email the latest issue of The Dividend Hunter. In it you’ll find research on one or two new recommendations to consider for your portfolio. They’ll be added to the monthly dividend paycheck calendar along with the other stocks. And every month you’ll get the latest update to the Monthly Dividend Calendar. I’ll tell you which stocks have been added, any that have been dropped, and any dates that have been updated. No more guessing, no more getting it wrong, no more hours upon hours hunting down information all over the Internet. It’s entirely up to you if you want to add the new stocks or let your other holdings ride. I’ll tell you which stocks to own, when you need to be a shareholder, and when you should expect your paychecks. Everything else is up to you. It’s completely flexible to meet your individual needs. And you’ll receive access to the complete library of special reports and archived issues and all new ones that come out in the future. Now before I tell you what else you get I want to answer that question that’s been in the back of your head: “how much is it?” Fair question, I’d ask it too. Since you’re a new subscriber I’m offering our new member rate of just $49 for the first year. That’s all. That gets you everything to get started. 12 monthly newsletter issues with updates on the portfolio holdings, new recommendations, and any strategy or position changes. FREE Monthly Dividend Paycheck Calendar. Within seconds of signing up I’ll send you a special email. Hold onto it because while it looks like a typical “welcome” email it has a very special link to the monthly dividend paycheck calendar that’s only for subscribers of The Dividend Hunter. You can start poring through the calendar and setting up your own paycheck schedule right away. Complete instruction written in plain English on how to use the Monthly Dividend Calendar, the monthly newsletter, the bonus reports I’ll mention in a moment and everything you need to get started. Live customer service. Our customer service isn’t outsourced halfway around the world. We have live customer service right here in the United States during normal business hours to help you with any questions you might have about your subscription. And we’re available by toll-free phone and email. 100% Money Back Guarantee. I want you to be happy with my research and my investment recommendations. I want you to be making more money than you ever thought possible because of the monthly dividend paycheck calendar. But if you find that for whatever reason it’s not for you, that’s okay too. I understand. And that’s why we have our full 100% money back guarantee: just request a refund during the first 60 days of your subscription and get your money back, all of it. FREE BONUS #1: U.S. Dividend Stock Investing for Canadian Investors. I get a lot of questions from Canadian investors looking to put their money to work with U.S. based dividend stocks as low rates are hurting our friends north of the border. Along with one of Canada’s top CPAs I’ve compiled this guide to help Canadians get started right away. FREE BONUS #2: The 36-Month Accelerated Income Plan. This could be the most powerful investment guide ever developed to help retirement investors get back on track and make sure they have enough money to live without money worries. FREE UPGRADE #1: Weekly Stock of the Week recommendations. Every Tuesday (except newsletter week) I’ll send you an update on the current best buys in the portfolio. That way if you’re just starting out or looking to deploy some cash, you’ll have my very best current recommendations at your fingertips. The lowest rate you’ll ever see The Dividend Hunter advertised for. Just $49 your first year and renewing at only $99 after that. Now don’t put this off any longer. You’ll risk missing out on that extra $. Don’t set it aside to come back later. No offense, but you won’t. We’re all like that. You’re busy, you’ve got other things going on and soon you’ll forget. And you’ll miss out on the next payouts. Just go ahead and click that “Add to Cart” button below to get started and start getting your checks. P.S. I hope I didn’t come off as pushy, but there’s really no time to procrastinate. Sure, you could set this aside to read it later. But we all know how human nature can be… it’s too easy to get busy with other important things in life and by the time you know it you’ll have missed tonight’s midnight deadline. So I urge you to give the Monthly Dividend Paycheck Calendar a try today — right now — and get the lowest rate you’ll ever see for The Dividend Hunter. And with our 60 day full money back guarantee there is absolutely no risk in trying it. CLICK HERE to get started or use the “Add to Cart” button below. Your first year of The Dividend Hunter is only $49, a 50% discount off the normal rate. That’s our new subscriber introductory rate. Your subscription will renew in one year at the standard rate of only $99. I would expect that the dividends you’ve made over the course of the year would cover the subscription cost many, many years into the future. Your satisfaction is guaranteed. If you are dissatisfied with The Dividend Hunter just call or email within the first 60 days to receive a 100% refund of all your money. And you may cancel any time later and never be billed again. Now that you’ve taken time to read the fine print and see how good this truly is, let’s get started on your monthly dividend stream and build some wealth for you. Click here to start.We respect your privacy and take it very seriously. Your email will not be sold. Please review our privacy statement.